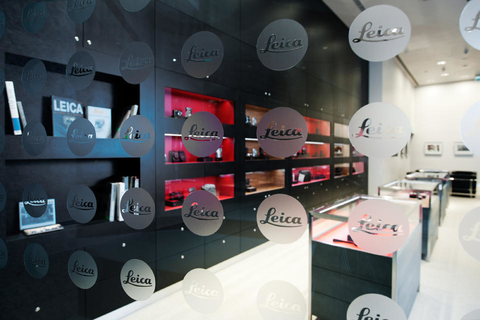 Leica Store Taipei is located in Bellavita, which is one for the most luxury shopping malls in Taipei. There the full range of Leica cameras and sport optic products is displayed and can be demonstrated. 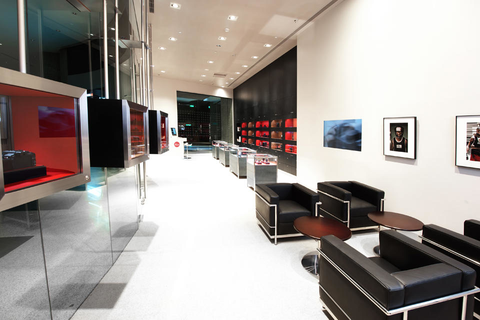 Leica Store Taipei provides both a comfortable space and professional service delivering the Leica culture in its interaction with all customers. Taipei 101 is a landmark skyscraper located in the Xinyi District of Taipei. The building officially ranked as the world's tallest from 2004 until the opening of the Burj Khalifa in Dubai in 2010. The tower has served as an icon of modern Taiwan ever since its opening. Fireworks launched from Taipei 101 are featured prominently in international New Year's Eve broadcasts. The skyscraper's structure appears frequently in travel literature and international media. Taipei 101 comprises 101 floors above ground and 5 floors underground. The building was architecturally created as a symbol of the evolution of technology and Asian tradition. A multi-level shopping mall adjoining the tower houses hundreds of fashionable stores, restaurants and clubs. The National Sun Yat-sen Memorial Hall (literally "National 'Father of the Nation' Memorial Hall") is located in Taipei, Taiwan. It is a memorial to the Republic of China's National Father, Dr. Sun Yat-sen, and was completed on 1972. The total building area covers 29,464 square metres (7.3 acres) in an open space of 115,000 square metres (28.4 acres). It contains displays of Sun's life and the revolution he led, and is also a multi-purpose social, educational and cultural center for the public. The Elephant Mountain takes a short walk from Taipei 101 in Xinyi District. Steep steps lead up into a shaded, forested hill overlooking the city. Beware, the entrance of the hiking path is poorly signposted. Elephant Mountain, about 200 metres high and belongs to the four Beasts Mountains (the peaks look like an elephant, lion, panther and tiger from a distance)- The hiking paths from here go up to higher peaks in Nangang. Elephant Mountain is very popular for photographers as many postcards images of Taipei 101 and Taipei sunsets were taken from here.